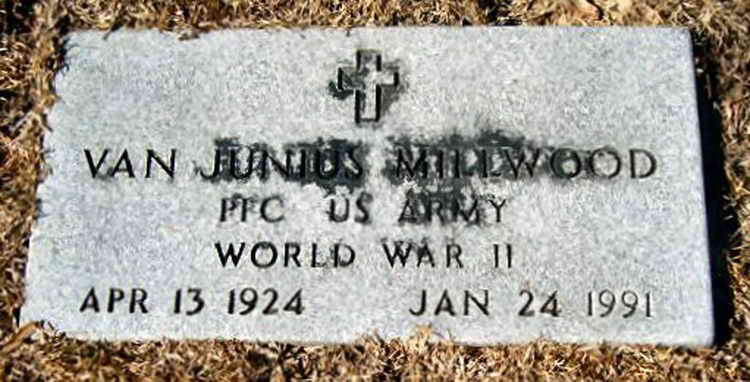 Grave marker for Van Junius Millwood in Saint James United Methodist Church Cemetery, Jamestown (Berkeley County), South Carolina. Van was a member of Company A and served during the Invasion of France as well as Operation Market-Garden in Holland. He was wounded in Belgium on 19 December 1944 and evacuated. He may have been sent directly to the States as a consequence of the wound or returned early based on the points system. He re-enlisted at Fort Gordon, GA on 24 November 1945. He first married Mazzie Lee Spence on 22 Mar 1942 in Benton County, TN and later wed Carrie Altman . 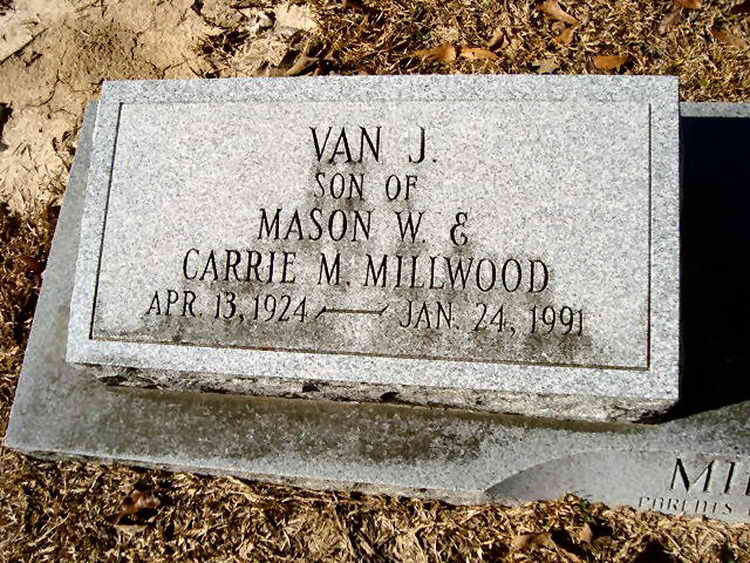 Van resided in Jamestown, SC for a number of years before his death at Trident Hospital in North Charleston. following complications of surgery.